A modern, fresh and floral crisp dry gin. Floral botanicals combine for a fruity mix of lime and fresh berries. 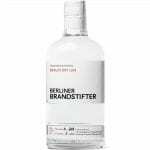 Berliner Brandstifter Gin is filtered 7 times thus making it an extraordinarily smooth and fresh dry gin. 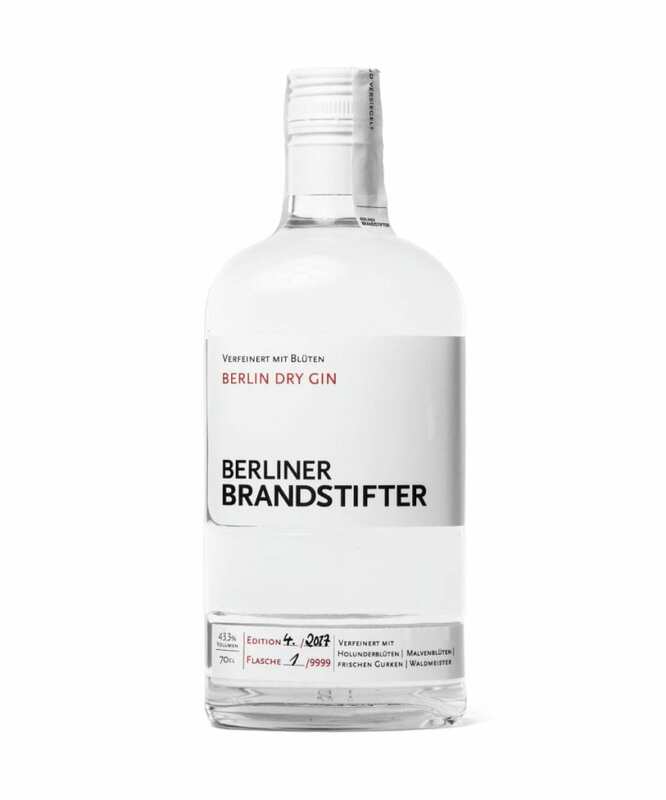 Its distinct Berliner character is rounded off with the use of local botanicals: elderflower – mallow blossom – sweet woodruff and fresh cucumber. The botanicals are cultivated on farmland near Berlin and handpicked before undergoing premium processing. Due to the natural production is limited to small batches of 9999 bottles annually.